The Prestige Facet 14F is availble in black, walnut and white. Signs of a high-quality finish include a double-layer front panel to which a black or white lacquer is applied. 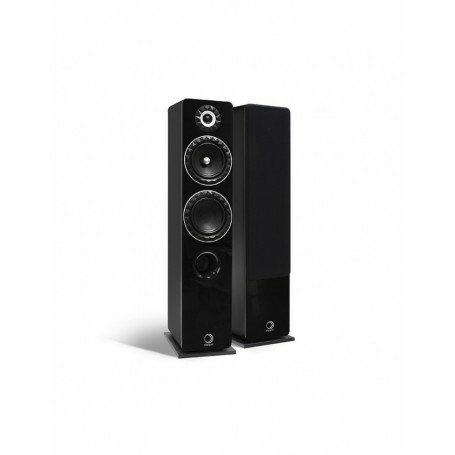 This floorstanding speaker is equipped with a bass driver and a 17 cm mid-low driver. The latter is fitted with a bullet-shaped phase plug to limit vibrations and, consequently, reduce distortion. 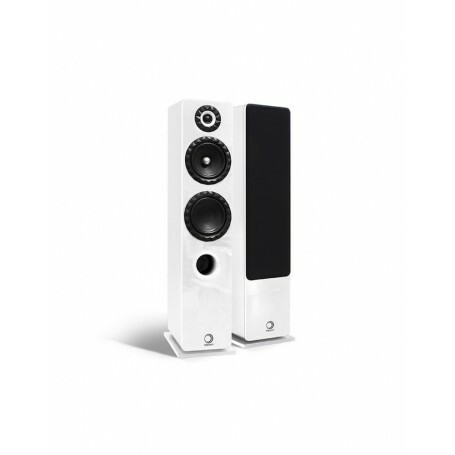 A 25 mm soft dome tweeter reproduces highs with finesse and precision. The multifaceted, sculpted silicone surround rings encircling each driver reduce the baffle effect and limit diffractions. The result is a more linear response curve and a smoother listening experience.